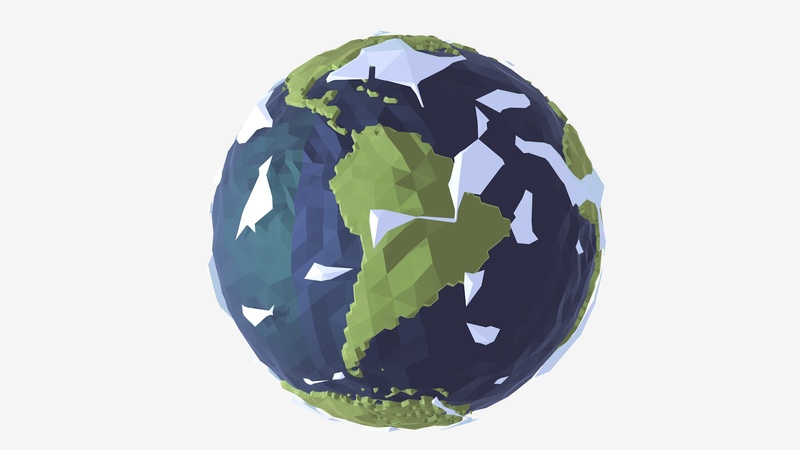 A Low-Poly Earth planet, Created in Cinema 4D. 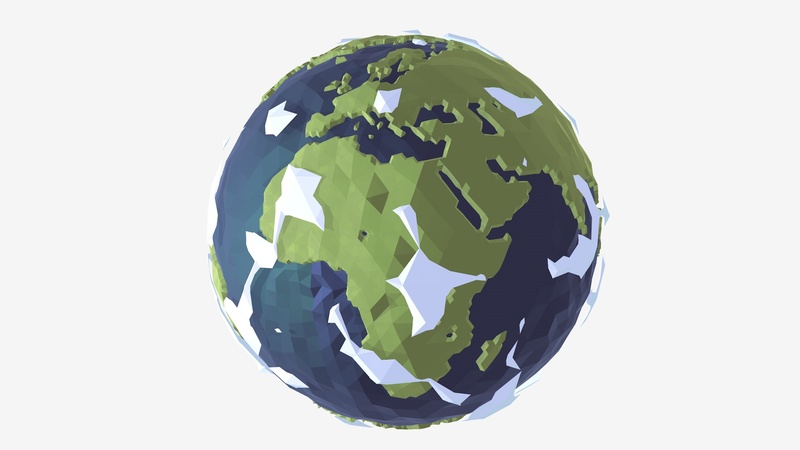 It use an actual earth map (included) for an accurate look of the main lands, US, Europe, UK, Africa, Australia, Asia, Japan, Latin-America, etc. All of them are recognizable. The model is using parametric objects and effectors, if you have little knowledge of effectors you can tweak the low-poly settings to fine-tune the look to match your exact project style. Material included, and customizable, you can change the colors in Cinema 4D. 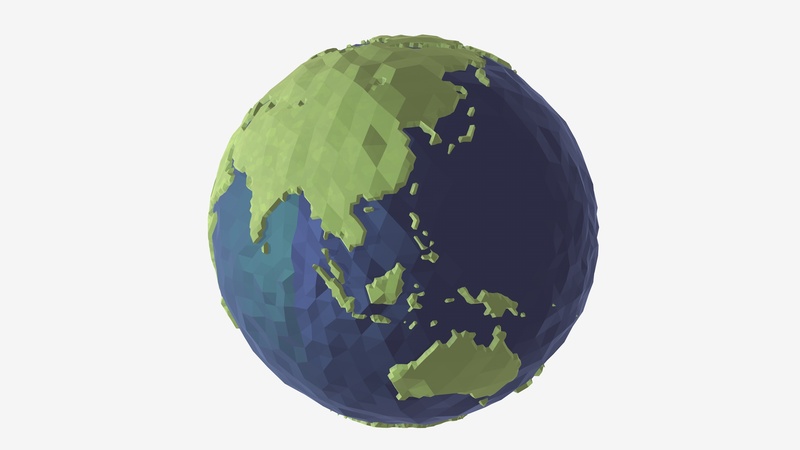 - Random effector : randomize polygon to achieve a low-poly style. 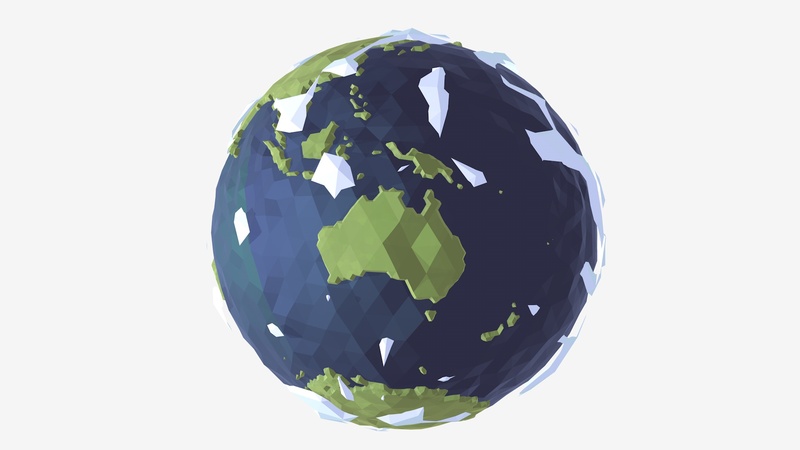 Tweak it to easily change the planet look to more or less polygonal. Let me know if you have any question, I hope it saves some time to other designers!